As a basic tool to protect your family, life insurance has an obvious appeal. But its value goes beyond the obvious benefit of providing cash for your loved ones at a crucial juncture. Especially if your death is sudden and unexpected, life insurance can serve a myriad of purposes you might not have considered, and it can be valuable to virtually any family with assets to preserve. Tapping the cash value of a life policy might also provide needed cash during your lifetime. Let’s start with the fundamentals. There are two basic types of life insurance: term and cash value. With term insurance, you pay premiums for a specified length of time (often for 10 or 20 years). In return, the insurance company agrees to provide a death benefit for your survivors if you die while the policy is in force. The amount of your premiums depends upon several factors, including your age, your health, and your lifestyle. In general, the older you are—or the more likely you are to die from smoking, obesity, or other risk factors—the higher the premiums. In contrast, cash value life insurance—which may come in several forms, including whole life, universal life, and variable life—provides both a death benefit and a cash value. While part of your premium is used to fund a death benefit, just as with a term policy, the remainder is earmarked for a cash-value account. The account for a whole life or universal life policy earns interest and grows on a tax-deferred basis, while the value of variable life account will vary. With cash value insurance, you can also borrow against the policy’s value at favorable interest rates, although policy benefits will be reduced if you don’t repay the loan in a timely fashion. And, if the contract includes a special rider, you may be able to draw on benefits in an emergency. How much life insurance protection do you need? It depends on several factors. At the very least, there has to be enough to make up for the shortfall from income you would have made. But there are also other sources of income for the family—including pension benefits, Social Security, and earnings from investments—that may be lost if you die prematurely. And depending on your family’s situation, you may want to secure extra protection. 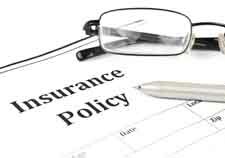 How can life insurance be used? To begin with, your beneficiaries will receive death benefits they can use to make mortgage payments or pay off a mortgage, take care of funeral expenses, and provide a financial cushion to help them cope with their loss. Life insurance can be particularly beneficial for someone who is still working full time as one of the family’s main breadwinners. Insurance proceeds can sustain family members until they are able to get back on their feet and make definitive plans for the future. But there are several other ways in which life insurance can come to the rescue. A major role may be to help with the taxes that may be due shortly after your death, even with the generous $5 million estate and gift tax exemption (indexed to $5.49 million in 2017). Business interests may be particularly likely to generate tax liability, especially if you owned a substantial share in a company that your family decides to sell. Another strategy could be for a couple to arrange to have the surviving spouse use insurance proceeds to pay the income taxes due on converting a traditional IRA to a Roth IRA. That could provide tax-free income during retirement and avoid the need to tap the IRA for the funds to pay tax on the conversion. In a pinch, you could borrow against the cash value of a permanent life insurance policy to help put your children through college. You might do the same to pay off high-interest debt from credit card accounts. In both cases, that’s not the optimal approach, but repaying the loan from your policy might end up costing you less than other alternatives. Some insurance companies permit you to use the money that would have been paid to your survivors as a death benefit to pay qualified long-term care expenses. Using these “accelerated death benefits” could help you avoid depleting family assets that your spouse may need. These are just a few of the ways life insurance may be part of an overall wealth planning strategy. It could also be used as part of a charitable giving strategy, by providing cash to your heirs to make up for your spending on philanthropy. Life insurance is no one-trick pony, and we can help you consider all of the possibilities.